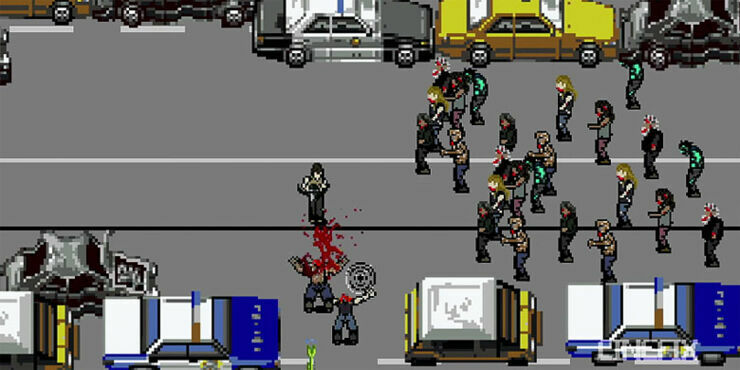 The Walking Dead Gets Turned Into An 8-bit Video Game—If Only It Was Real! CORAL! CORAL! LOOK CORAL! If you always dreamed of seeing an 8-bit video game version of AMC's The Walking Dead then you can tick it off the bucket list. If you wanted to actually play it, then you had better put it back on there. CineFix have turned the first two seasons of the zombie apocalpyse series into an imagined retro video game as part of their 8 Bit Cinema series, which has seen pixelated video versions of Sin City and Donnie Darko. It's very well done and comes complete with an awesome chiptune version of The Walking Dead theme. In fact, it's kind of annoying, because once you watch it you'll just want a game developer to make this game a reality. Like, now. Seasons 3-4 of 8-Bit Cinema The Walking Dead look like they might hit the internet next week, so stay tuned.